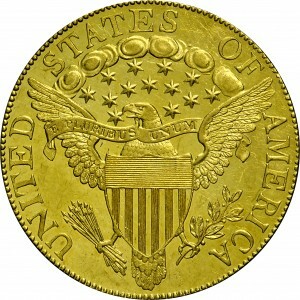 This Proof was struck circa 1834 for inclusion in a presentation set alongside an 1804 dollar. 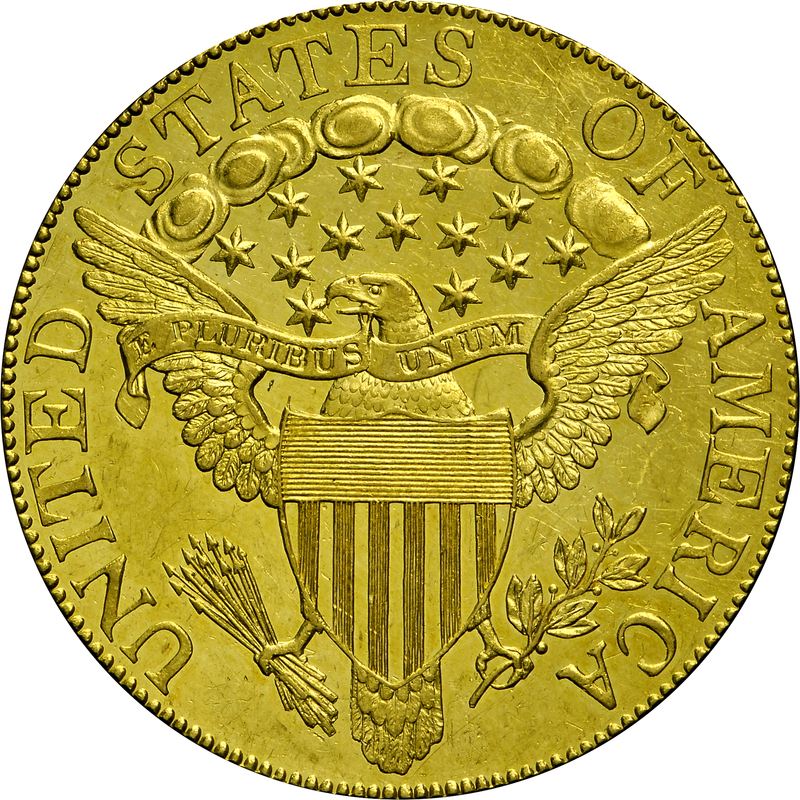 When Mint officials researched early coinage, they discovered that 1804 was the last year of production of this denomination, and also the last year of production for silver dollars. Thus new dies were prepared for both of these denominations. Apparently four coins were struck for presentation purposes: one of these is part of the King of Siam Proof set, a second is from the Virgil Brand estate, a third constituting a duplicate example in the Eliasberg Collection, and finally, this example, also from the Eliasberg Collection. From the Bowers and Ruddy Galleries sale of the Louis Eliasberg Collection, October 1982, Lot 660. Previously from Lorin G. Parmelee, Charles Steigerwalt, William H. Woodin, and John H. Clapp. "Obverse: Plain 4. Large stars, Type III; as 1801 obv. 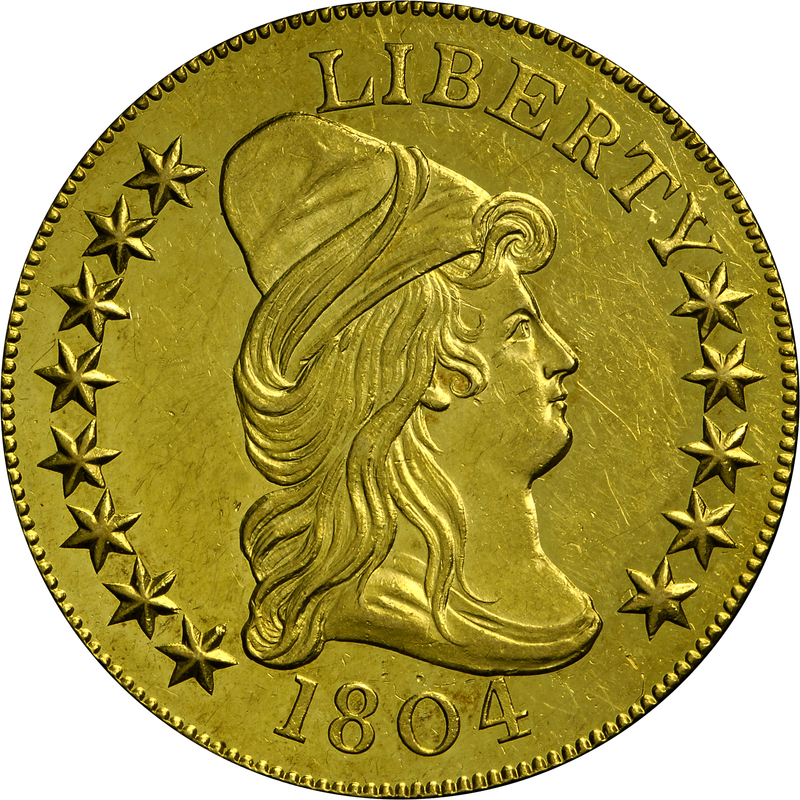 2, 1803. Stars 2 and 7 repunched. Reverse: Broken right base serif of F."